As the old saying goes, all good things must come to an end. This now includes Chelsea’s record-equalling 13 match winning streak, which was brought to an end by an excellent Tottenham Hotspur at White Hart Lane, who defeated the league leaders 2-0. Dele Alli scored a brace of headers for Spurs, who now move into third place with the win. 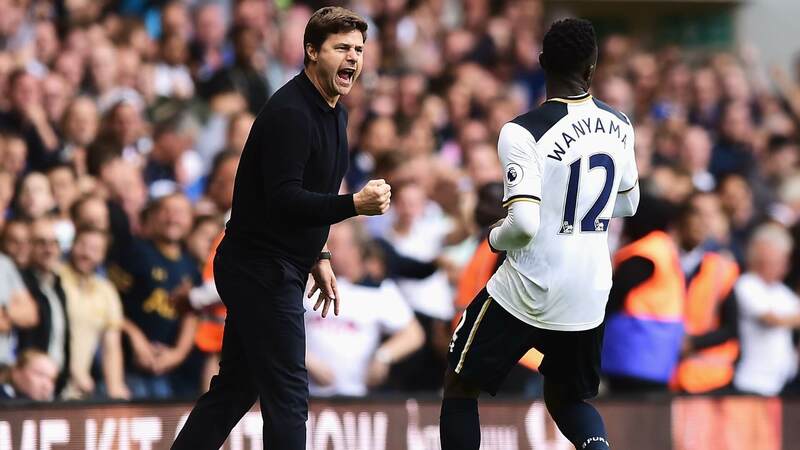 Mauricio Pochettino set his team up in a 3-4-1-2/3-4-2-1 formation, which was similar to what he employed against Watford on the weekend. Antonio Conte lined his men up in their usual 3-4-2-1 formation. Throughout most of the first half, Chelsea seemed to be perfectly happy to sit back and soak up pressure. Their back five, along with Kante and Matic, set up deep, probably due to Spurs’ form, the fact that they were playing away at White Hart Lane, and Conte’s belief that Pedro, Hazard, and Costa would be able to counter-attack. This may have worked if it were not for Spurs denying Chelsea any space in which they could exploit in a counter-attack. They congested the space in which the three forwards wanted to operate, and when Chelsea did create chances, they were let down by some poor finishing. At half-time, Conte must have told his players to get on to the front foot and attack, as Chelsea appeared to be much more proactive after the interval. This was an effective switch, as Spurs were pegged back early on in the second half and Chelsea looked as if they may have scored. Chelsea’s best period of game was put to an abrupt end when Alli struck again, thus destroying any hopes Chelsea may have had of equalizing. The front three of Harry Kane, Dele Alli and Christian Eriksen set up to play very narrowly, with Eriksen drifting more to the right, Alli to the left, and Kane through the middle. Alli aimed to penetrate the Chelsea defense with his running, while supporting Harry Kane up front, while Eriksen preferred to drift around the final third and look for opportunities to penetrate with his pinpoint passing. In defense, Kane stayed high up the pitch, while Eriksen and Alli dropped deep to support Victor Wanyama and Moussa Dembele in an attempt to suffocate Chelsea’s central attacking players, particularly Hazard and Pedro, who like to combine with Costa through the middle of the field. This tactic proved to be very effective, as the two Chelsea wingers found it nearly impossible to find space in front of Tottenham’s back line. Below is an example of the compactness of Tottenham’s four central players, as Nemanja Matic tries to make a run with the ball through the middle. Going forward, Chelsea’s front three of Diego Costa, Eden Hazard and Pedro attempted to operate similarly to how they have played throughout this long winning run. The wing-backs allow Eden Hazard and Pedro to move inside and to play closer to Costa, where they are both more effective than they would be if they played further out wide. However, as previously mentioned, they found it difficult to combine due to Tottenham’s compactness in front of their back five. As usual, the three attackers stayed higher up the pitch in hopes of starting a quick counter-attack while the rest of the team was defending. However, this was another of Conte’s tactics that Spurs were able to exploit. As Alli, Eriksen, Danny Rose and Kyle Walker attempted to occupy the two Chelsea wing-backs, space was then created in front of the back line in wide areas. Kante and Matic try to avoid moving out wide, so that the centre is always protected. Eriksen pulled away from Chelsea’s back line several times to exploit those spaces. He then had space to use his pinpoint passing to pick out one of Alli or Kane, who advanced beyond him. It was obvious in the two goals and in Tottenham’s attacking where they were targeting. The height, or lack thereof, of Azpilicueta and Moses on the right side was targeted by Dele Alli, who scored both of his goals after running through the channel between the two Chelsea defenders. Eriksen drifted off the back five to exploit the space vacated by Hazard, and provided an in-swinging cross for Alli, who timed his run perfectly to head home. Both goals were scored in a similar fashion, with Eriksen providing for Alli on both occasions. Below is a screenshot which illustrates the gap between Moses and Azpilicueta at the back post. All Alli has to do is pull away from Azpilicueta, who is marking him, and move into the gap to score, which he does. To conclude, Tottenham were excellent in this match, while Chelsea simply failed to match the levels they have set throughout this impressive 13 match winning streak. Pochettino set up his team perfectly for this match, as they were very effective in exploiting Chelsea’s defensive weaknesses and preventing their attacking players the time and space they desired. Spurs’ performance and this match as a whole should and will be used by other managers before their teams come up against Chelsea, as Spurs demonstrated how Chelsea’s weaknesses can be exploited and how their attack, which is usually very potent, can be stopped. This was a big game for both sides, and Conte should be particularly worried about the performance of Eden Hazard. The Belgian failed to show up at all today, so Conte may be worried about this for future “big games”. On the other hand, Dele Alli continues to prove that he is one of England’s best young talents, if not the very best the country has to offer. Aside from his capacity to score goals, he is developing into a very intelligent player, capable of creating and attacking space in the final third. Although Chelsea’s players and coaches will be undoubtedly shaken by this loss after such a long string of wins, they still lead the league by a comfortable margin of five points, so this loss is not a huge setback for the Blues. However, it will be interesting to see if other managers decide to use a similar approach to what Pochettino’s Spurs used to win this match, and if this approach continues to bear fruit against a very strong Chelsea side. 16 year old Manchester United fan and aspiring writer from Canada.